Stacy Tilton Reviews: Ready for a new S'mores Recipe? 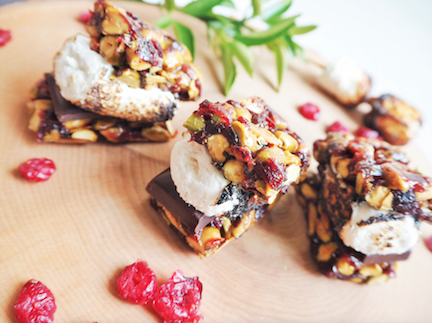 Ready for a new S'mores Recipe? If you're like me you enjoy trying new things. And finding ways to make some of your favorite treats a little healthier for eating. Recently I came across a fun S'mores recipe I thought everyone might be interested to check out too! It's super easy to make and it features Pistachio Chewy Bites in place of the graham crackers. Pistachio Chewy Bites are packed with over 50% pistachios and have a healthy dose of protein, fiber, potassium, and antioxidants. I would say these are a snack you don't have to feel guilty about! • Open all packages of Pistachio Chewy Bites. 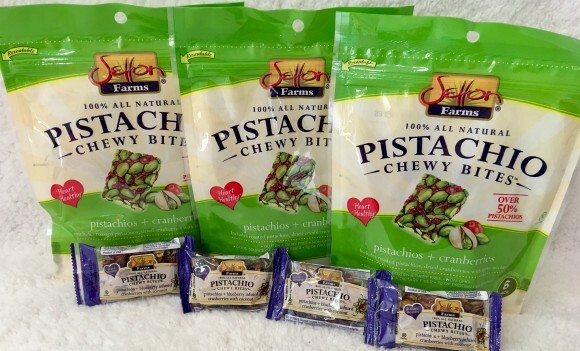 • Place a few squares of chocolate on 4 of the Pistachio Chewy Bites. • Over an open flame or campfire, toast marshmallows on 4 skewers and place each cooked marshmallow on a Pistachio Chewy Bite. • Use remaining Pistachio Chewy Bites to enclose s’mores. Just look at those tasty looking treats! I don't know about you, but I'm going to try and pass them off on my kids and see if I can't get them to make a healthier snacking choice!